Villa Royale is an elite secluded villa located in Coral Bay, Cyprus. This luxury wedding villa has 7 bedrooms (sleeps 18 including 2 babies in cots) and has a large heated private pool 10m x 5m and a sun pavilion. Located in the heart of the picturesque Peyia countryside in Paphos with wonderful views of the sea and the mountains. Villa Royale offers the ultimate in luxury living accommodation featuring high ceilings, crystal chandeliers and polished marble flooring creating distinct elegance and grandeur in this beautiful property. Accessed from the impressive tree-lined driveway through the spectacular 8000 square metre picturesque gardens with traditional olive, avocado trees, palms and local cypresses. This is a truly amazing venue for any special occasion and the ideal romantic and elegant wedding venue. - Entrance opens to the fabulous gold imperial staircase, a spectacular centerpiece to the reception area and gallery upstairs. - The spacious open plan and light filled living area features two very distinct and beautifully furnished lounging areas. Each perfectly designed space creating the opportunity for relaxation, conversation and entertainment. Adjacent to the formal living room is a TV with UK and SKY TV channels. - Dining area, a great space for formal dining with a grand polished table and beautiful designer high-back leather chairs to seat eight. Unobstructed views can be enjoyed from here to the large patio doors which open to the grounds. - Informal dining area sited between the two kitchen areas, with a large glass topped decorative wooden table and eight comfortable leather chairs. Kitchens - There are two large kitchens in this villa fully equipped with the latest appliances, black granite worktops and a Nespresso Coffee machine. There is a working kitchen for food preparation a decorative kitchen ideal for catered events, entertaining and serving. A a large patio door leads directly to the front veranda for easy al fresco access. - Bedroom 1 : King-bed bedroom fully fitted with ensuite shower-room (twin beds option). Patio door leads to a large private balcony with views of the magnificent pool, pavilion area and mountain side. - Bedroom 2: King-bed bedroom fully fitted with ensuite shower-room (twin beds option. Patio door leads a Juliette balcony with pool pavilion and mountain side views. - Bedroom 3 : King-bed bedroom fully fitted with ensuite shower-room (twin beds option). - Bedroom 4 : King-bed bedroom fully fitted, with ensuite shower-room. Extremely spacious room with patio doors leading to a private, furnished balcony with glorious views to the Mediterranean sea and hillside. - Bedroom 5 : King-bed bedroom fully fitted. There is direct access between room 5 and 6 via a lockable door with one en suite facility which makes this an excellent option for those travelling with children. - Bedroom 6 : King-bed bedroom fully fitted with ensuite shower-room. - Bedroom 7 : The Bridal/Master suite, king-bed bedroom, fully fitted with large walk in wardrobe and ensuite bathroom with shower and mirror tiled corner bathtub. Located at the rear of the gallery with stunning sea views and beautifully decorated with light colours and flowing fabrics. Large patio doors lead directly onto the private balcony which spans the entire length of the villa, perfect for admiring sunsets and star-gazing. - Private swimming pool 10m x 5m with roman steps - depth 0.9m to 1.9m. - Jacuzzi pool (also can be used as paddling pool) depth 0.6m. - Family sized hot tub. - Sun pavilion with BBQ, food preparation area, fridge freezer etc. - Private parking area for several cars. Dip your toe into the sparkling waters of this fabulous 10m x 5m private pool with Jacuzzi set against the stunning backdrop of the surrounding Peyia mountains. Enjoying a cold beverage or perhaps just succumb to the allure of the daybeds which beckon you to an afternoon of reading, relaxing and sunbathing. At lunch, dine al fresco after cooking up a storm in the fully equipped outdoor sun pavilion and in the evening, relax back into the family size Hot Tub. The choices are endless, and none will disappoint. Villa Royale offers the ultimate in luxury Cyprus villa living. The Peyia village centre a its traditional excellent eating places, and useful shops is only 2 km away. The Coral Bay "high street" with its selection of bars, restaurants, tavernas and shops is only 2.5 km away. The famous Coral Bay beach is less than 2.5 km away. Paphos and Kato Paphos with a variety of cultural offerings and a more diverse nightlife are only a 15 min car ride away. The Akamas National Park starts here . Maximum number of guests: 80 - surcharge £1000 (guest numbers are inclusive of the guests staying at the villa). - Refundable security bond for all functions £1500. 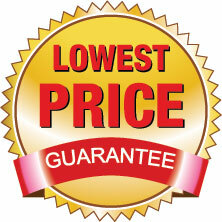 The surcharge and security bond are payable with the balance payment for your booking. Villa Royale is in the resort of Coral-Bay within the PAPHOS-DISTRICT of Cyprus. Please click on the links to see more useful information on the resort the District and the Country (including contacts for local activities and places to eat, places to shop etc) . To get up-to-date comprehensive travel advice for any destination, including Cyprus, the Foreign & Commonwealth Office (FCO) advice (available here) covers vital issues about travelling abroad, including passports, visas, health, safety and security and more. Please continue to check this link for up-to-date information until you travel. To rent villa Royale, first click on the red button "Price & Availability" for an instant online rental price quotation for your dates. At the end of the quote you will be given the option to put a NO obligation hold on this Elite, Luxury, Romantic-getaway, Rural, Secluded, Wedding 7 bedroomed holiday home in Coral-Bay, Cyprus. Rural, Luxury, Secluded, Romantic-getaway, Elite, Wedding.